How Will I Receive A Chargeback Notice? Why Was Money Taken Out Of My Account? How Do I Respond To A Chargeback Notice? What If I Do Not Want To Dispute The Chargeback? What Happens After I Submit My Docs? What’s The Difference: Chargeback & Arbitration? All cardholders have certain rights under their card brand’s policies. Among these rights is the ability to dispute a transaction for a variety of reasons. As a business owner, if you receive any of the below notices, be sure to read the notice thoroughly and promptly respond to it as instructed. The chargeback process can last one to potentially six months, depending on the type of dispute. Time limits vary for both cardholder action and merchant response times based on card network (Visa®, MasterCard®, Discover® or American Express®) guidelines. A cardholder can choose to proceed to the next step if the result of one step is not in their favor up until Arbitration, which has a final decision awarded. We recommend trying to first get hold of the cardholder and see if there is a way you can work out the dispute on your own. 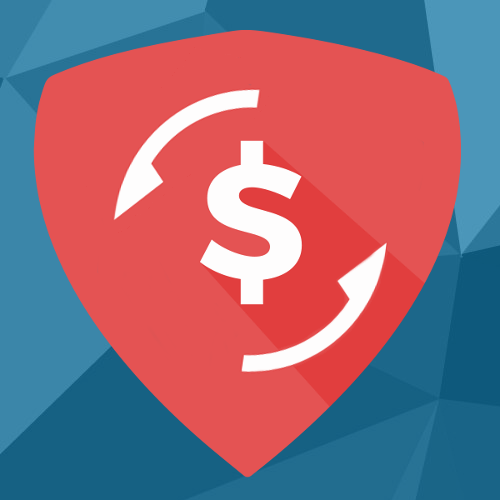 This may be the easiest and most effective means of resolving chargebacks. Need a Merchant Account? Sign Up Now! When an issuing bank or cardholder disputes a transaction, the initial action by the issuing bank is to submit a retrieval request to the merchant. The retrieval request includes basic transactional documentation which can quickly validate or disprove a fraudulent transaction. The acquiring bank notifies the merchant of the retrieval request. Retrieval requests can precede a chargeback, but not in every situation. A cardholder disputes a transaction, the issuing bank reviews the claim to determine whether or not the dispute should be sent to the card network. Or as a result of a Copy Request being determined in the favor of the cardholder, a chargeback was deemed valid. A dispute is determined to be valid, or at least worthy of further investigation, when the customer’s claim and/or transactional data may suggest the presence of fraudulent activity. When the issuing bank has determined the cardholder’s dispute to be valid, an immediate credit is provided to the customer for the disputed amount. The issuing bank also submits the chargeback to the VI, MC, DI or AX who then pass the chargeback to the merchant. Should the merchant choose to respond, they must gather and submit all compelling evidence related to the transaction and customer involved with the chargeback. Side note: The process differs slightly for American Express & Discover. These two card networks are also the issuing bank and the acquiring bank, so the information relay is simplified. However, it also results in American Express and Discover stretching to serve the best interests of the customer and the merchant, as both are clients. Though the merchant won and has been credited back the disputed transaction amount, a cardholder can persist with the dispute, generating a second chargeback. Funds are immediately removed from merchant’s bank account. Merchant is notified and given another opportunity to provide supporting documents. Knowing a chargeback has been filed, it’s up to merchants to decide whether or not to submit a response. Why would a merchant choose not to respond to a chargeback? They believe all chargebacks coded under fraud or no authorization reason codes represent lost revenue. The chargeback represents minimal transactional value. If you as the merchant decide not to respond, the chargeback process comes to an end. The card network awards the chargeback to the customer and would retain the refunded amount. The merchant is left with the loss of revenue from the sale, any customer acquisition costs spent acquiring the customer, and the fees accrued throughout the process. However, if merchant proceeds to arbitration, there would be a minimum charge of $500.00 should they lose dispute. If a First or Second chargeback is decided in the merchant’s favor, the cardholder may decide to press the dispute into Arbitration. This takes the case to the actual card industry for a final decision. The merchant receives a Pre-Arbitration notice outlining their options. At this point the merchant must decide if the loss in revenue and time is worth proceeding to Arbitration. There is a minimum fee of $500.00 applied to the merchant if they lose the case. Merchant is liable for ALL costs incurred. Consider your options carefully when making the decision to proceed. Get Help With Your Merchant Services Today! A chargeback is the reversal of a sale transaction that arises from a processing technicality, a customer dispute or fraudulent activity. All chargebacks are in response to violations of the rules and regulations established by a payment brand, such as Visa®, MasterCard® or debit network. Here are some of the most common reasons why chargebacks happen. When a cardholder disputes a transaction, the issuing bank credits the cardholder, the payment brands credit the issuer, we credit the payment brands and that same amount is debited from the merchant account. Each notice has specific instructions. Always complete and include the notice, as well as provide all supporting documentation available to you as outlined in the notice. Send notice and documentation to disputeresolution@elavon.com or fax to 877-888-2034. If you do not wish to dispute, no response is necessary. Never alter a sales receipt. Always obtain an authorization for the exact amount of the transaction processed to the card. If authorization is declined for the full amount of the sale, don’t try to get an authorization by “splitting” or lowering the amount of the transaction. If you can’t get a single authorization for the full amount of the sale, then decline the credit card transaction and request another form of payment. Whenever a card does not successfully swipe and you have to key in a transaction, manually imprint the card and ensure the signature and all transaction information is transferred to the imprinted draft. Make sure the manual draft is imprinted with the merchant name and location, or submit the card verification data (CVD) code with the authorization (3-digit code on back of credit card). Also, always process a chip card using a POS terminal capable of reading, communicating and processing transaction data from the card. When a customer is due a credit and the original sale was made on a credit card, process the credit back to the original card number instead of refunding by check or cash. If a credit is due on more than one sale, then process each credit individually. If the sale is being conducted in-person, make sure your return policy is pre-printed on the credit or debit card sales receipt and signed by the cardholder at the time of the original sale. * The refund policy must be close to the cardholder’s signature to be recognized by the payment brands. Respond to all retrieval requests with valid, legible documentation (see this information in the How do I Find Retrieval section below). If the card is present at the time of sale, be sure to compare the credit card account number on an electronically printed draft to the credit card number embossed on the credit card. If the numbers don’t match, call your Automated Voice Authorization Center and tell the operator that you have a “Code 10” authorization and that the card numbers do not match. For ecommerce sites, it’s recommended that all transactions be reviewed for address verification results and that CID be required. Each chargeback and retrieval request bears a reason code, established by the payment brands. This value reflects why the request or dispute was initiated. The reason code is accompanied by its description on your chargeback documentation. What Happens After I Submit My Documentation? Once you submitted your chargeback or retrieval response documentation, it is assigned to the queue of a chargeback analyst. They review each submission in the order received and it can sometimes take a couple weeks to hear a response. Chargebacks are reviewed and determined by the banks involved. Arbitration is decided by Visa/MasterCard/Amex industry policy. Arbitration can carry additional fees of a minimum $500 for the merchant if the case is determined in the cardholder’s favor. No fees are assessed to the merchant if the case is determined in the merchant’s favor. Note: The majority of arbitration cases are found to be in the cardholder’s favor.